Our world is changing, technology is getting faster, and the use of the internet and social media is not going to slow down. People, education, and business are using technology for all forms of communication. According to cyber-bullying statistics, over 50% of adolescents have reported being bullied online and 1 in 3 young people have been threatened online. It seems as though, without an increase in awareness and intervention in our neighborhoods, schools and communities, these statistics will only increase. That leaves it to us (you, me and our communities) to take a proactive role in making sure that this is not our future. A friend shared a really neat article that was posted in the Huffington Post recently about a middle schooler her applied for the 2014 Google Science Fair. She created the idea of an alert system that would ask teens to rethink their actions before posting anything harmful online. Her study found that when participants were given an alert asking them to rethink their actions before potentially posting something hurtful, there was a 93% reduction in the number of adolescents willing to post abusive messages. Wow, that is pretty awesome! You can check out more about this science fair project here — Teen Creates Awesome Science Project That Could Help Stop Cyberbullying. 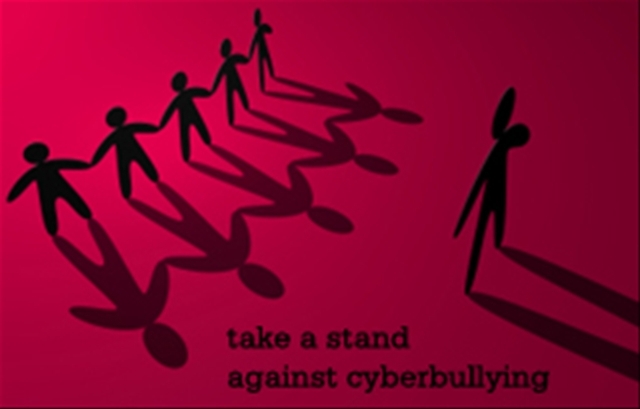 Reading the article about the young lady who thought of a way to actively combat cyber-bullying made me realize we can all actively participate in this discussion, and positively influence the prevelance of online bullying. Just because people hide behind a smart phone or computer screen to say things to people, does not mean we ever need to be okay with it. I want to continue to love the internet and social media, although that means (for me) negativity needs to be minimized online. There is so much positive that can be had through sharing ideas and knowledge via technology. I hope you take the time to read this article and it sparks some discussion of how you can contribute to decreasing online bullying through sharing creative solutions and ideas you might have. Just think, your ideas might just save someone, and who knows what the world could be like with all of our ideas working together. This entry was posted in Self Esteem, Uncategorized and tagged #bethechange, #huffingtonpost, #JLLB, #rethinkactions, #saynotocyberbullying, #theconfidencepost. Bookmark the permalink.